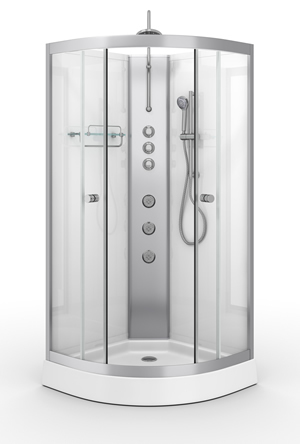 AquaLusso Opus 02 Shower Cabin with iLock Frame. 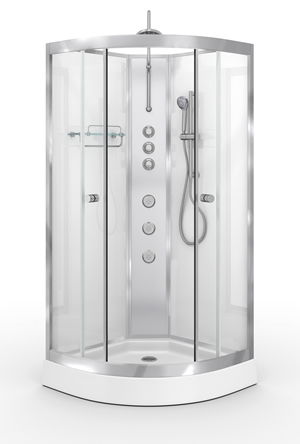 Compact quadrant with thermostatic shower valve, overhead shower, body jets and multi function hand shower. Polished Frame and iLock Assembly System. 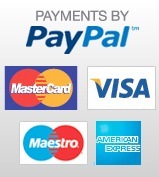 Please call to place your order so that we can ensure your item is in stock. AquaLusso Alto 04 Left handed Shower Cabin. 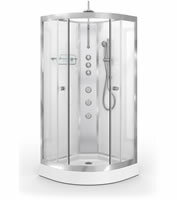 Compact, elongated corner fitting shower enclosure with thermostatic shower valve, overhead shower, body jets and multi function hand shower. 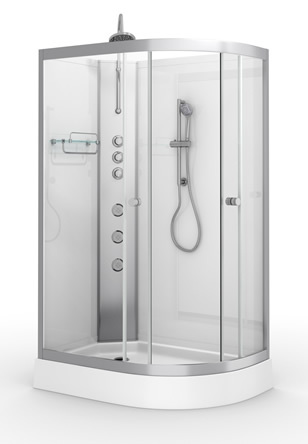 AquaLusso Alto 04 Right handed Shower Cabin. 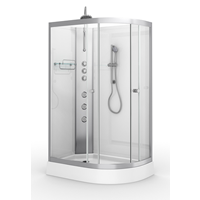 Compact, elongated corner fitting shower enclosure with thermostatic shower valve, overhead shower, body jets and multi function hand shower. AquaLusso Alto 02 Shower Cabin. 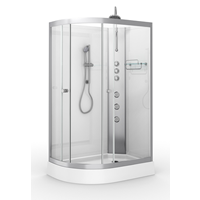 Compact, corner fitting shower enclosure with thermostatic shower valve, overhead shower, body jets and multi function hand shower. 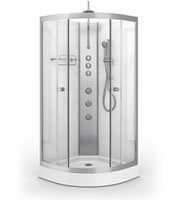 AquaLusso Alto 01 Shower Cabin. 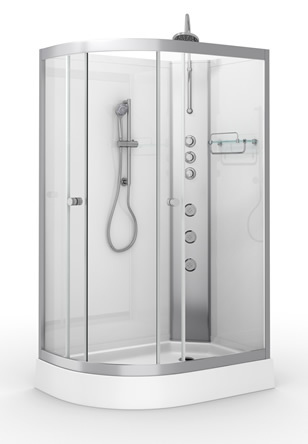 Compact, corner fitting shower enclosure with thermostatic shower valve, overhead shower, body jets and multi function hand shower.